Apex Dynamics, Inc. is a worldwide leader in manufacturing of planetary gearboxes. Based on more than twenty years of accumulated manufacturing and marketing experience, plus the highest level of technical production capabilities, Apex Dynamics, Inc. designed and built a technically advanced, high speed, low backlash servo application planetary gearbox. Their Break through patented technology (over 6 patents), provides the customer with the optimum high precision helical reducer at a reasonable price and is offered with the only tip to toe 5-Year warranty in the industry today, including the seals and bearings. The Apex AB series is the Next generation in planetary technology. Highest Precision, Highest Torque and Quiet Operation are provided by 100% optimized Helical Gearing. Straddle Mounted High Precision Bearings Allow for High Radial and Axial Loads. The Apex ABR version has a 90° input via helical bevel gear. Features an extremely short, light yet rigid housing and full compatibility with standard motor adapters. The Apex AF series is the Next generation in planetary technology. Highest Precision, Highest Torque and Quiet Operation are provided by 100% optimized Helical Gearing. High Axial and Radial Loads provided by High Precision Taper Roller Bearings. 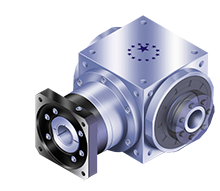 The Apex AFR version has a 90° input via helical bevel gear. Features an extremely short, light yet rigid housing and full compatibility with standard motor adapters. The Apex AE series really is one of a kind. Apex is the only Manufacturer that Produces a Cylindrical Helical Stainless Steel Gearbox World Wide. High Precision, High Torque and Quiet Operation are provided by 100% optimized Helical Gearing. Straddle Mounted High Precision Bearings Allow for High Radial and Axial Loads. The Apex AER version has a 90° input via helical bevel gear. Features an extremely short, light yet rigid housing and full compatibility with standard motor adapters. The Ultra Compact Inegrated Geared Pulley Drive is Available in an Inline and Right Angle. The AL Eliminates the Need for a Right Angle Gearbox , Couplings and or Additional Bearings, In Turn Reducing Costs, Increasing Performance, and Reducing Parts and Engineering Time From the System. The Apex ALR version has a 90° input via helical bevel gear. Features an extremely short, rigid housing and full compatibility to any motor. The Apex P series is the Most Economical Planetary World Wide. The Planetary Design Provides High Torque in a Compact Package. Nema, Metric and Cylindrical Flange Mounting create the most Versatile Product in the Market - At the Lowest Cost ! The Apex AN series is first HELCIAL TRUE NEMA on the Market. Highest Precision, Highest Torque and Quiet Operation are provided by 100% optimized Helical Gearing. Straddle Mounted High Precision Bearings Allow for High Radial and Axial Loads. The Apex ANR version has a 90° input via spiral bevel gear. Features an extremely short, rigid housing and full compatibility to any motor. The Apex AT Right Angle Bevel Series is Designed for High Torque, Low Backlash along with a Compact Design, Creating an Ideal Solution for Servo Applications that are in need of Lower Cost Precision Right Angle Solutions. Hollow, Dual, Single, Double, Triple and Four Shafted Units Available - 100% Stainless Steel. Clayton Controls is an Apex Dynamics distributor in California. We offer technical support to help our customers solve their applications.